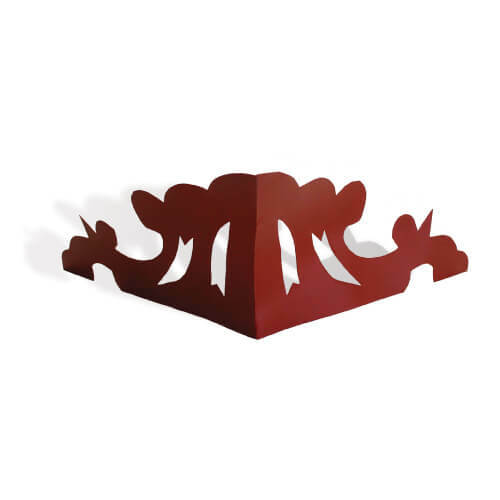 Traditional colonial roofing accessories such as Ridge Horns, Gutter Scrolls also known as Acroterias are manufactured to complement the prominent Queenslander style we all know and love. 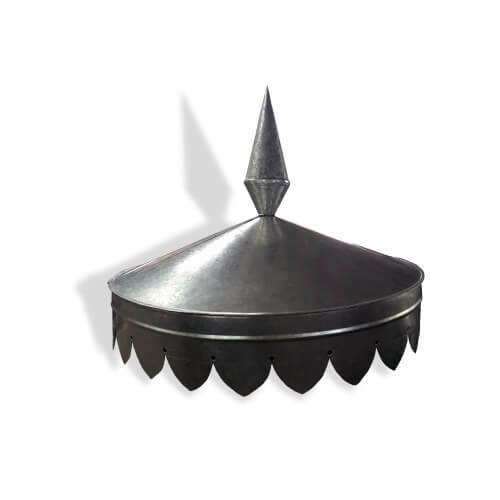 These popular items can be seen on houses around Australia, flawlessly imitating a type of roofing ornamentation which dates back to the very first colonial houses. They’re still very popular for home improvement today in many different forms. Some of the more advanced colonial items, like Acroteria, are a special design which can be anything from a classical scroll design to faces and animal shapes. Custom design can be a lot of fun, too, creating your own unique pieces for your home. 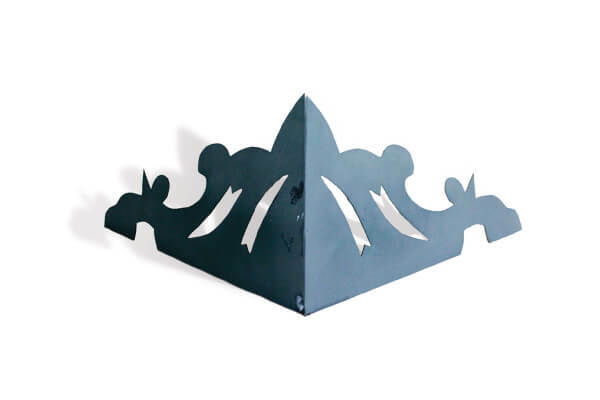 Queensland Sheet Metal offers custom services for you to create your own fabulous gutter scrolls / acroterias, according to your own design preferences. Custom made to any design, our gutter scrolls are available in Colorbond® Steel colours, Zincalume®, Galvanised, Copper and Stainless Steel. 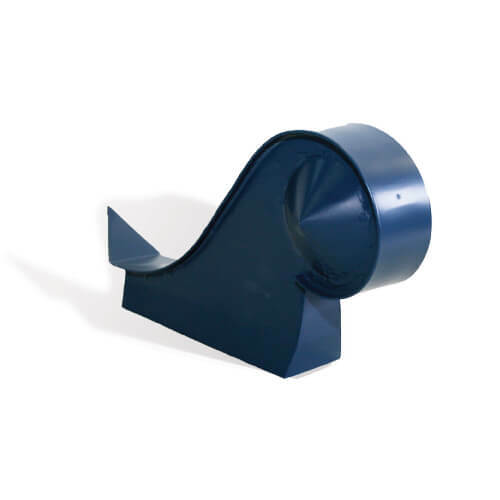 Ridge horns must be made in Galvanised and primed, however these can be sprayed with Colorbond® coloured Touch Up paint to match your existing roof. Want to Find Out More about Custom Colonial Items? 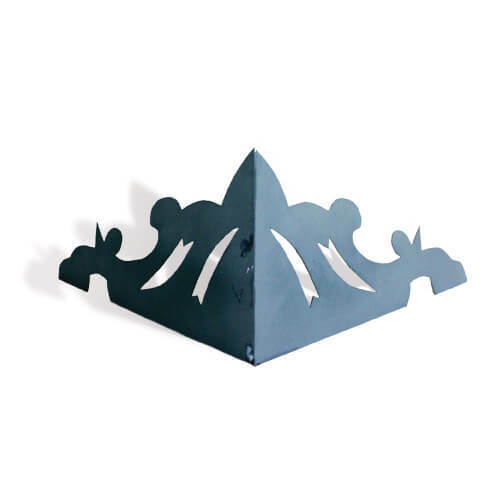 Queensland Sheet Metal is your instant solution for roofing supplies in Brisbane. We have all roofing supplies for modern and traditional Australian homes. If you need guttering, acroterias, fascia or anything to do with roofing, just call us. To find out more about our colonial items, call us on 07 3267 1010 or contact us online. Visit our Brisbane store to see our products for yourself and talk about custom design with our experts.